Home » Starting BJJ » Will I spar during my first Brazilian Jiu-Jitsu class? Will I spar during my first Brazilian Jiu-Jitsu class? Probably, but not if you don’t want to. Brazilian Jiu-Jitsu is known for its strong emphasis on sparring, and you should expect to spar even as a beginner, but some schools won’t expect or allow you to on your first day. If the class is going to spar, it is OK to ask to sit out and watch. If you later decide you want to try it, ask your instructor if it’s OK and he’ll pair you up with someone if it is. If you have previous martial arts or wrestling experience, you’ll probably want to spar on your first day. Check with the instructor first, but it’s usually OK. Some schools don’t allow white belts to freely spar, instead only having them to do positional sparring. This restricts the range positions and techniques encountered, making it safer by lowering the potential for injuries. You can read more good advice here: How should I act at my first BJJ class? 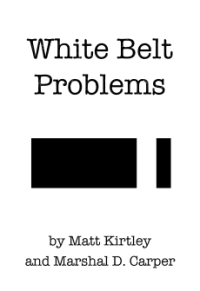 Sparring is a whirlwind when you’re a brand new white belt, so don’t stress over it too much. It is a very important part of training, and you’ll get the hang of it eventually.